Some of these designs are digitized for use with Mylar. A color change chart is included with each collection with instructions about when to place the Mylar on the design and when to remove the excess. The fills are created as such Resizing of these designs is NOT recommended. 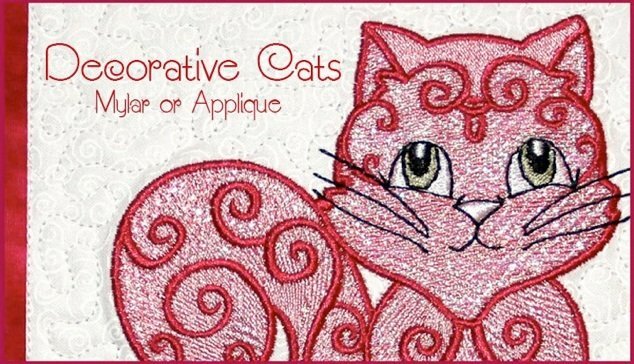 Applique and running stitch designs are also included in this collection.